Outfit deets: F21 top & H&M waxed pants. The gifts we all brought for the Chinese Gift Exchange. Our potluck madness (we know how to eat!). 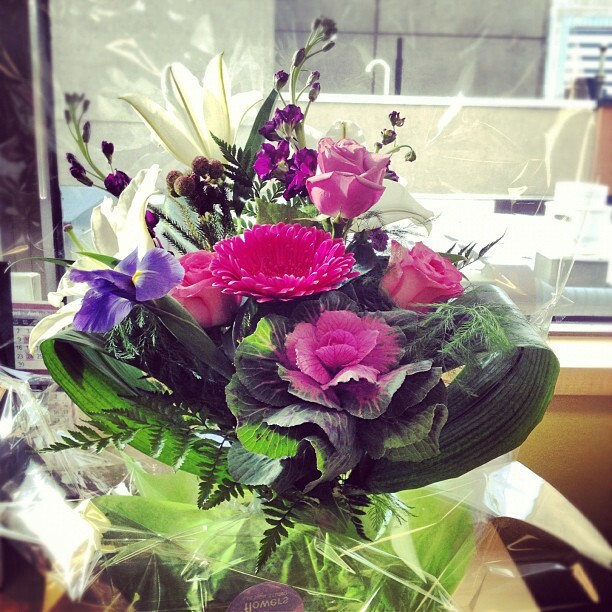 The beautiful flowers I was sent at work on Friday from someone special. Outfit deets: Jessica Simpson dress, J.Crew bubble necklace, unknown tights, Liliana heels & vintage (thrifted) clutch. Christmas party dinner: turkey (my fave!). My newest creation for a client: birdcage headband with feathers, $25.